The President’s Daily Brief, or PDB, is a highly classified intelligence briefing produced each morning for the President of the United States. The written briefing informs the President and other senior policymakers about intelligence developments worldwide and provides analysis of those events. 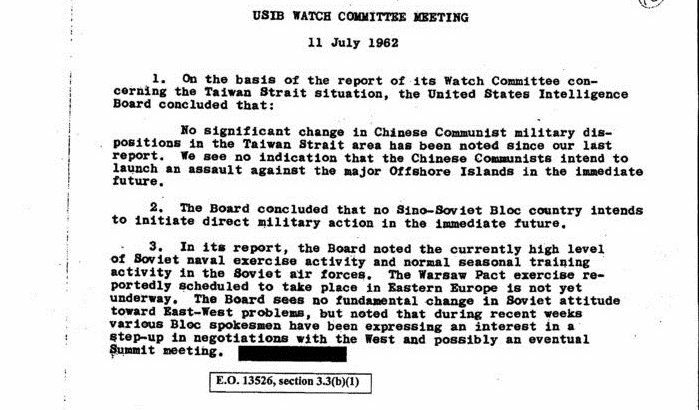 Although now produced by the Director of National Intelligence, from 1961 until early 2005 the briefing was produced by the Central Intelligence Agency. According to the CIA website, the PDB compiles the Intelligence community’s highest-level intelligence analysis related to key national security issues and concerns of the President. The PDB is given only to the President, the Vice President, and a very select group of Cabinet-level officials designated by the President. The PDB is published six days a week, Monday through Saturday. Much of its content is unrelated to the day’s events and has been in progress for a period of time. At daybreak, the PDB is hand-carried to the White House for the briefing. Some Presidents are briefed in their residence, others in their office. 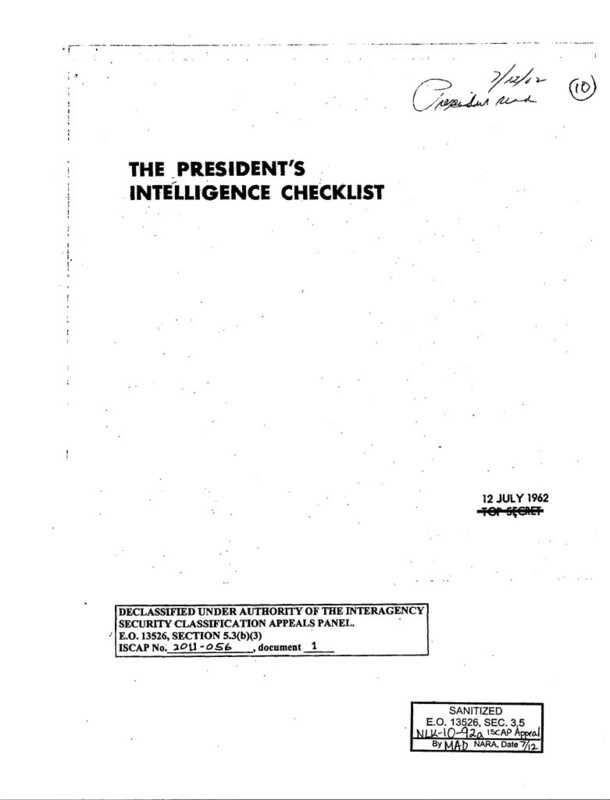 The predecessor of the PDB was called the President’s Intelligence Check List and was first produced by the CIA for President Kennedy. Although the format initially went through several trial runs, it was formalized in early 1961. The checklist, initially known by the acronym PICL and pronounced “pickle,” was later renamed the President’s Daily Brief. 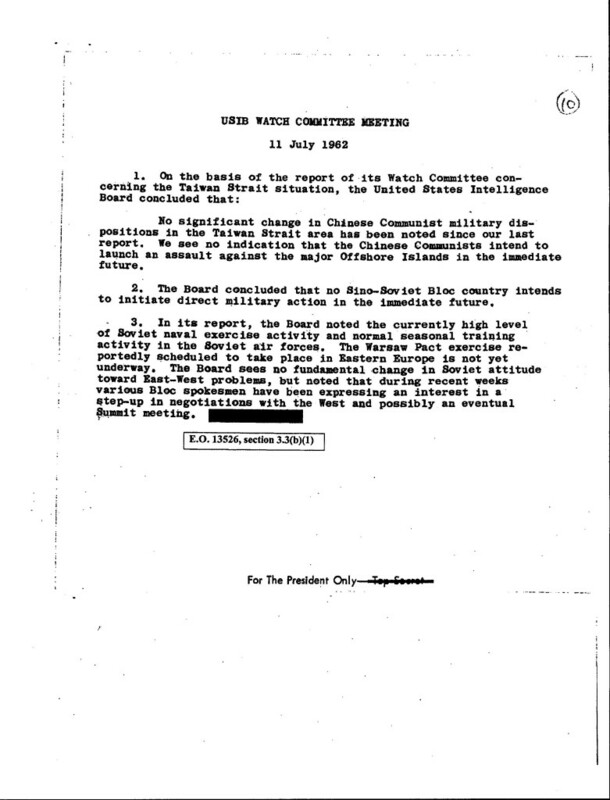 Former Central Intelligence Director George Tenet considered the PDBs highly sensitive and in July 2000 declared that none could be released for publication “no matter how old or historically significant it may be.” The PDB became more publicly known after the 9/11 Commission called for the declassification of the PDB from August 2001 entitled, “Bin Ladin Determined to Strike the US”. Although several PDBs have been released through the years in various administrations, including a handful of PICLs from the Kennedy Administration, these declassification decisions were based on sporadic reviews and there has been no systematic opening of PDBs or PICLs. Until now. The release of PICLs at the Kennedy Library was put into motion by researcher and former Nixon Library Director, Timothy Naftali, who submitted formal requests to access several PICLs through the Mandatory Review (MR) process (see MR online form). Recently, through the second level of appeals to the Interagency Security Classification Appeals Panel (ISCAP), several Kennedy Administration PICLs were opened in part – 126 pages total. This constitutes the largest release of daily brief (i.e., PICL) material to date and sets quite a precedent. In total, 18 intelligence checklists and two CIA Information Reports were opened for research use on July 19, 2012. The date ranges of these documents are mid-July 1962 through August 1962. They cover a variety of countries and topics such as the USSR, China, Cuba, Vietnam, Laos, Peru, Brazil, Haiti, British Guiana, Germany (Berlin), Indonesia and disarmament/nuclear testing. These newly-opened PICLs come from the Kennedy Library’s National Security Files, Box 356, Chester Clifton sub-series. General Chester V. “Ted” Clifton, Military Aide to the President, coordinated the PICL briefings. The writing on the first page of the PICL is usually in General Clifton’s hand and indicates whether the President saw that particular PICL. Clifton’s notations – “P saw”, ”P not seen”, or “Pres has seen” – can be distinguished from another (unidentified) staff person’s notation, “President read”. 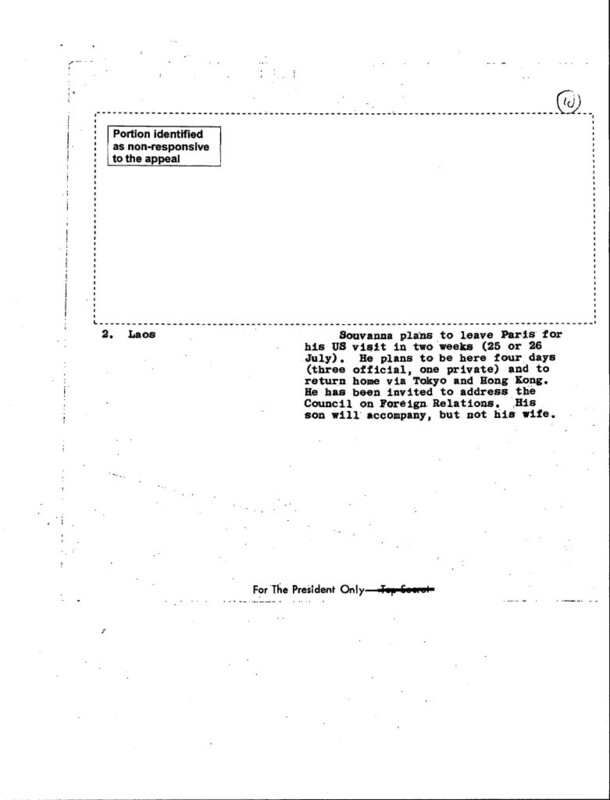 If the President did not see or need to be briefed on particular sections of the PICL, that information was recorded on the front page, as well. When the President was away from the White House, the PICLs were sent as White House wires to his location. On the newly-released materials, the initials HP – meaning Hyannis Port – indicate where the message was sent (and then the original wire destroyed). 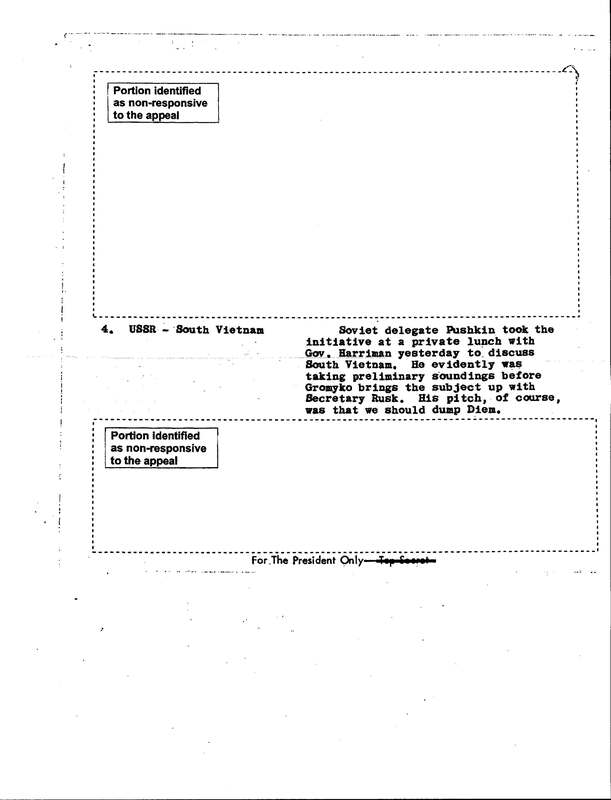 As we approach the 50th anniversary of the Cuban Missile Crisis, the Cuba intelligence information provided to the President in the months leading up to the Crisis is particularly intriguing. 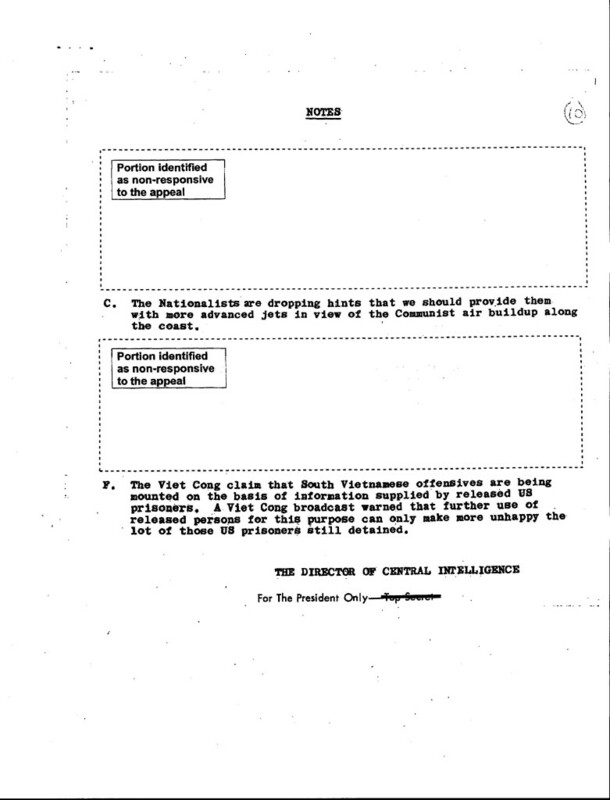 The declassification of the PICLs at the Kennedy Library is exciting; in addition to demonstrating the success of the MR process in opening materials for research, the release of these highest-level intelligence briefings further expands our historical knowledge and understanding of the Kennedy Administration. For more information about the PICLs, or to receive copies, please contact the Kennedy Library research room at kennedy.library@nara.gov or 617.514.1629.